Pop & Lock Tailgate Locks install in minutes without any drilling required. As a full replacement handle with integrated lock, They install in minutes, replacing the existing handle for an OEM look. 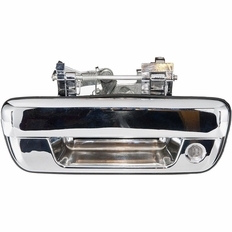 The part number for this item is PL1700C and it fits 2004-2014 Chevy Colorado GMC Canyon models.